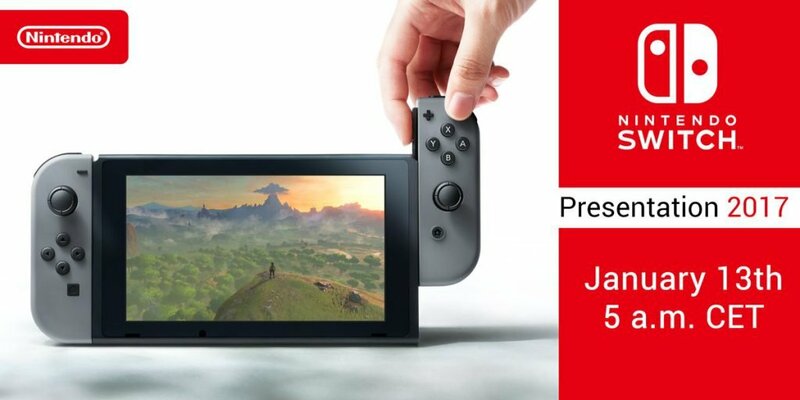 The official date for the Nintendo Switch release event is the 13th of January 2017. The NZ time is 5PM, which is ideal for many Kiwis. Get your friends together and watch the event live online. We’ll learn more about the hardware and accompanying games during the event. The price tag rumoured to be around $NZ380 will then be confirmed. The hybrid console will hit store shelves on the 3rd of March. Twitter source: Nintendo Europe. Note that the specified time is Central European time, which corresponds to 5PM in NZ. Nintendo Switch is a hybrid console as we reported earlier. Docking it at home transforms it into a stationary console, while it also functions as a portable console when you’re on the go. It’s powered by Nvidia Tegra chip. Nintendo has confirmed that Switch won’t be able to play games from older consoles like Wii U and 3DS. Backward compatibility isn’t a priority for most manufacturers of game consoles. However, gamers have often been partially compensated since older titles are available for purchase on newer consoles. The next Legend of Zelda: Breath of the wild game will be released for both Switch and Wii U. Legend of Zelda is an incredibly popular game series including Twilight Princess, and expectations on the new instalment Breath of the wild are sky-high.